From North to South, from East to West. Hated by some, loved by others, Fidel Castro was an outstanding personality in international politics of the twentieth century. The controversial and unparalleled Fidel died at the age of 90, after almost half a century at the head of Cuba (first as its Prime-Minister and then as its President) with the eternal tug of war with the United States. Portuguese weekly Expresso published a biography about Fidel Castro, while the daily Diário de Notícias focused on a more North American perspective, also taking a look at the countless quotes by the former president. Público refered to Fidel Castro as “um dos mais carismáticos e polémicos líderes políticos mundiais”, also mentioning his meeting with Portuguese President Marcelo Rebelo de Sousa in Havana, last October. “Líder autoritario o tirano sin más para media humanidad”. This was how El País classifies Fidel Castro, also calling him as “el último revolucionario”. El Mundo describes the emotional way his brother, Raúl Castro, addressed himself to the Cuban nation on the night Fidel Castro died. “Cuba et Castro, une histoire d’espoir et de désespérance” is the featured article in Le Monde, questioning what is the legacy that Fidel will leave in Cuba, while Le Figaro has an article mentioning how Castro always fought the opposition on his country, not forgetting that it was “une poitique qui a valu la condamnation de Cuba par la Commission des droits de l’homme de l’ONU et par des ONG, comme Amnesty International”. 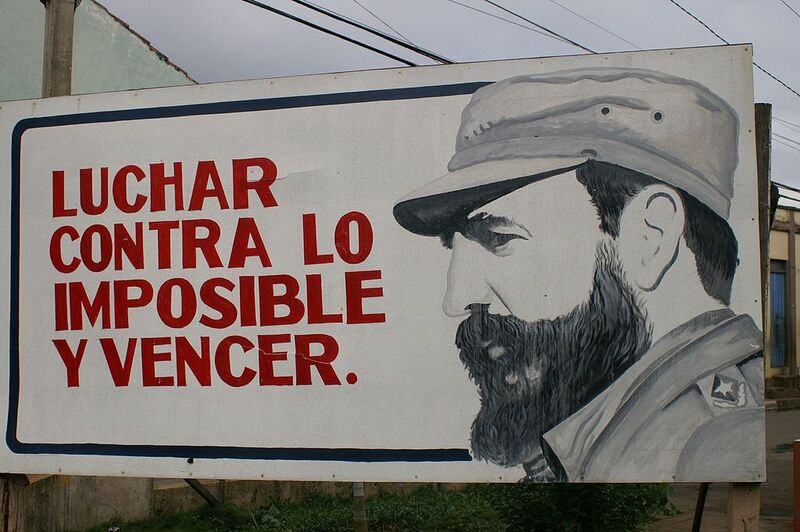 Berliner Morgenpost alludes to the 638 attempts to assassinate Fidel during his 47 years in charge in Havana, while Die Tageszeitung reports that Castro was “Kubas maximo Polarisierer“, considering that Fidel Castro’s death will be judged by the Cubans, in allusion to his mythical phrase “History will absolve me“. BBC News wrote an obituary for El Comandante where it says that “his supporters praised him as a champion of socialism”, while the Finantial Times has two articles titled “Cuban leader Fidel Castro dead at 90” and “Fidel Castro, former Cuban president, 1926-2016“. The Telegraph criticizes Fidel Castro for the repression and oppression of the Cuban people, underlining the fact that he was a person who did not care about human rights, and The Guardian cites Ignacio Ramonet, Fidel’s biographer: “He had a humble life”. The New York Times (in an article also available in Spanish) portrays Fidel Castro as the “Cuban Revolutionary Who Defied U.S […] brought the Cold War to the Western Hemisphere (…) and briefly pushed the world to the brink of nuclear war”. Time magazine wrote an item on “How Fidel Castro Went From Revolutionary to Ruler”, remembering the first time it mentioned Fidel’s name on its pages: a “wellborn, well-to-do daredevil of 29”. The Miami Herald downplays the importance of Castro, considering that “Fidel Castro was irrelevant long before he died“, and Reuters (US edition) has published a collection of photos of the life of the former Cuban politician. While the Indian Express compiled “The 10 things you did not know about Fidel Castro” (among them his beard, the family business or the fact that he prefered to work at night), Al Jazeera brought out two articles, one on how “the revolutionary’s achievements in the face of US meddling made him a powerful symbol of resistance against hegemony” and the other about “Fidel Castro’s anti-colonialist legacy“, which explains his activism in the socialist and independentist movements in Latin America and the African continent. The Brazilian newspaper O Globo created a timeline about Castro’s life. A dictator or a savior, Fidel Castro was the leader of the Cuban Revolution that, in 1959, overthrew the regime of Fulgencio Batista. Castro installed a communist regime with an anti-american and anti-capitalist discourse that for decades was a reference for many in Latin America and in the world. His legacy will always be controversial, with many stressing the achievements and improvements of Cuban society, while other pointing out to the dubious record in terms of democracy and human rights. In the next days and weeks Fidel Castro will certainly continue to be in the front pages of the international press and media.